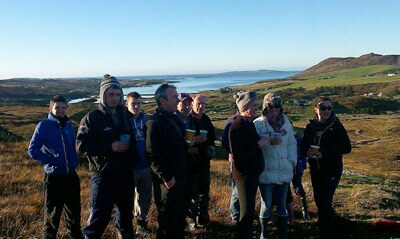 Hazelbrook Farmhouse B&B on the great western wild Atlantic Way surrounded by panoramic views of the Atlantic, Twelve Bens mountain range and the islands of Inishbofin, Inish Shark and the Mayo islands. 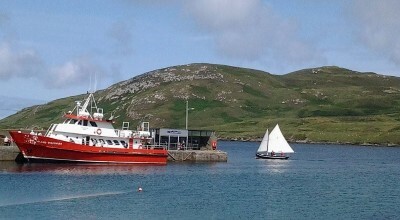 We are just 5 minutes walk to the small friendly village of Cleggan, where you can enjoy or take part in many musical nights in the village bars, seafood restaurant with excellent fresh fish of the day and food in many bars. Hazelbrook, with all home comforts and friendly hosts, is the place to relax and enjoy the views from your room or spacious lounge of real country life. 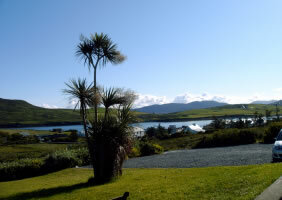 We supply maps of Connemara, as well as information on the area, and walking books. Many books are authored by local writers. 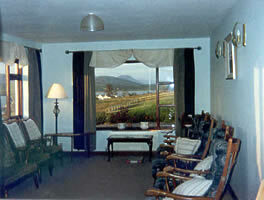 Rates from €35 per person, per night, Bed and Breakfast. Be sure to check our special offers! 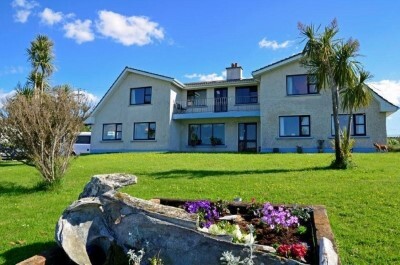 Hazelbrook Farmhouse accommodation is now served by the City Link Bus Service from Galway to Cleggan, Connemara. The service operates 3 times per day and we can pick you up and drop you off at the stop in the village just 5 minutes walk from the house. Josephine is your hostess and is looking forward to welcoming you to Hazelbrook Farmhouse Bed and Breakfast. Our 24-seat comfortable mini-coach is available for pick up at Airport's and transfer of passengers and luggage for your stay.